Manchester United manager Jose Mourinho has put the blame on the midfield department after the club played out a frustrating 2-2 Premier League at Southampton on Saturday. Mourinho’s side found themselves 2-0 down to the Saints after the opening 20 minutes but they managed to make amends before the break with Romelu Lukaku and Ander Herrera finding the scoresheet from impressive deliveries from Marcus Rashford. However, they could not convert the comeback into a victory during the second period and speaking after the clash, Mourinho highlighted that the midfield – most certainly pointing towards Paul Pogba – cost the team in the quest for maximum points. 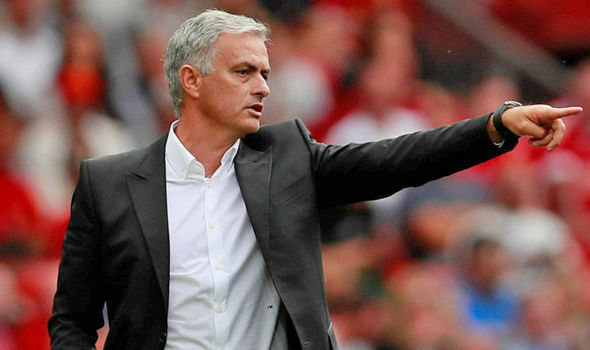 “What we did so well in the last 15-20 minutes of the first half was that we chose to connect with the attacking players by transporting the ball, leaving the ball in the right moment, the right choice of pass, playing simple, accelerating the game,” he told MUTV. Pogba had a rather disappointing performance at the heart of the midfield in the South of the Coast and he appeared disinterested for the vast periods of the opening period of the game. In the second half, the Frenchman tried to involve himself by striding into forward positions but he was unimpressive after losing possession of the ball on countless number of occasions. With the result, United are confirmed to remain in the seventh position for the current gameweek but their six-point gap to the top-four should certainly increase with Chelsea, Tottenham and Arsenal to feature on Sunday. United’s next league encounter comes against Arsenal at Old Trafford in midweek and it remains to be seen whether the likes of Chris Smalling and Eric Bailly return to the mix after missing the Southampton game with foot and back injuries respectively. Firstly, Fellaini is not a starter when you want to win the game – good for closing out the game when you leading 2-0 or 3-0. To play Fellaini and Pogba together is criminal as both lose the ball way to easily. Pogba is not deserving of his pricetag. Not scoring or creating enough. Why is FRED AND PERREIRA not played? Criminal. especially against a team like Southampton? Ashley Young has expired as a wing or wing back. way to many negative passes and stationery. Bailey and Rojo not getting minutes yet Matic plays in defence. Fooking hell man. our squad has all the goods to score, maybe just maybe, attack could be the best defence? its not the size of the dog in the fight, its the size of the fight in the dog. no madness needed. Sell the old and under performing – Valencia, Young, Sanchez, Smalling, Jones. Lighten the wage bill and squad, consistent core players and develope the likes of CHONG and others. Signings? Why? good players with right attitude is being left on the bench. eg Mata, Hererra, Shaw, Darmian, Dalot, Rojo, Perrira, Fred, Bailey – almost a compete matchday team. our team plays like an OXFAM team – donating/raising points for the struggling teams. Drop Pogba and Fellaini for Fred and Perreira. Maybe ROJO holding mid. can only be better than recent performances. Certainly more energy already by the sound of it. So who are the leaders? de Gea consistent, Herrera, Shaw (he’s come a long way) in that order. Based on workrate this would not change. i can only imagine how frustrated the attack minded players must be …. consider this – if the team concedes more than they score (but they score) then the problem is isolated. but if we are scoring then the oposing team cannot commit as many players forward. cos right now we not doing much of anything. we simply not playing ball.